Nam’s life has been pretty rough by anybody’s standard – and he’s only 10 years old. Blue Dragon first came across Nam a couple of years ago. He had been hanging out on the street with his mother, who sold drugs around one of Hanoi’s lakes, and most of the time he was completely unsupervised and uncared for. The very first time we noticed Nam, his mother was beating him for some perceived crime, and our social workers helped to calm things down. Nam had never learnt any good habits or boundaries; he was running wild and just occasionally going to school. Whenever he did something wrong, he was beaten. Growing up, Nam hadn’t lived with his mother; she was imprisoned shortly after he was born, so Nam was raised by a kind lady who volunteered in a pagoda. When Nam’s mother was released, she took him back but had no idea how to care for a son. It wasn’t long before Nam’s mother was imprisoned again, and Nam was left to look after himself. Blue Dragon staff went back to the pagoda to look for the woman Nam called his “foster mother” but she had moved on and was now living just outside Hanoi. We tracked her down and found that she was extremely poor, and worried that she couldn’t look after Nam, especially when we learned he had Hepatitis and would need ongoing treatment. Last year we opened a new shelter for boys in crisis situations, and Nam moved in there; but as a 10 year old, we knew he couldn’t stay long. He needed a family and a crisis shelter was never going to be that for him. So the Blue Dragon social workers started talking to the woman outside Hanoi who Nam adored and missed. They spent some time together, and we could see how Nam’s face brightened every time they met. On the streets, he was wild and unfocused; with his foster mother he was gentle and calm. It was clear what Nam needed, and his foster mother was willing to try to care for Nam again if we could support her to do so. We even went to the prison to talk to Nam’s mother and get her agreement. Nam is now living with with his foster mother, and while it’s not all smooth sailing he’s happy and settled. He sometimes struggles with the boundaries and rules of living in a family environment, but every day he does his best. A few weeks ago, Nam called us to share some news. 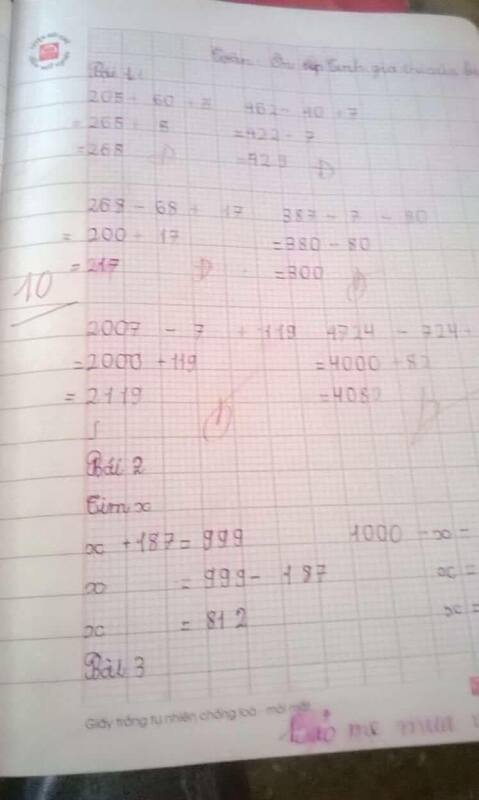 Just before the summer holiday began, his teacher at school gave him a mark of 10 out of 10 for some mathematics. It was the first time he’s ever received full marks for anything! And then a little while after that, he called again. He’d received some more 10s! And some 9s as well! It seems that life has finally started working out for little Nam. He has a home where he is loved, and he’s discovered that he’s a lot smarter than he had realised. He can finally believe in himself. There’s a long road ahead; this isn’t the end of the story by any means. But when you’re living in crisis, every little achievement is a joy and needs to be embraced.